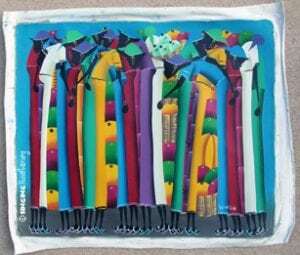 Buy Haitian paintings online: long legged ladies is fantastic! Just can’t get enough of the long legged ladies – a popular request from those who follow the Rooster’s Haitian paintings. Signed by artist “Sergo” (bottom, right).